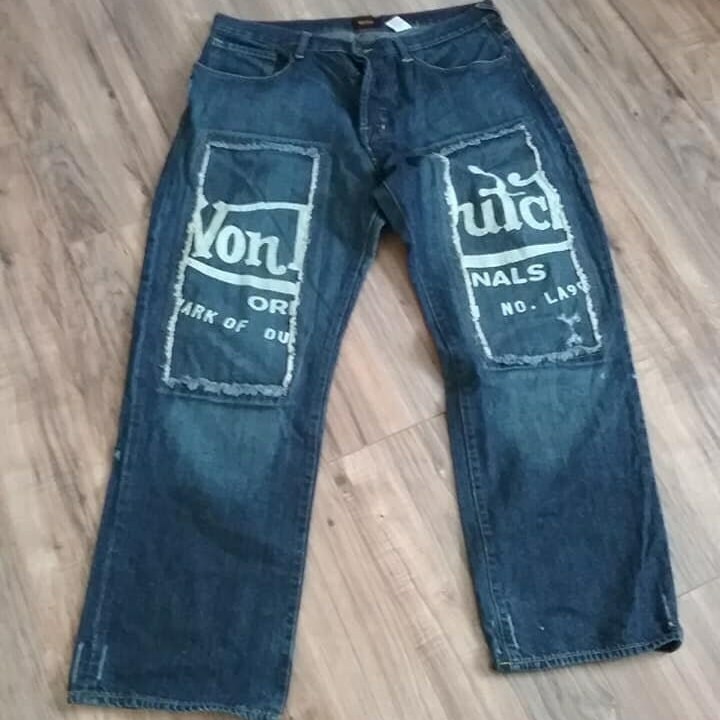 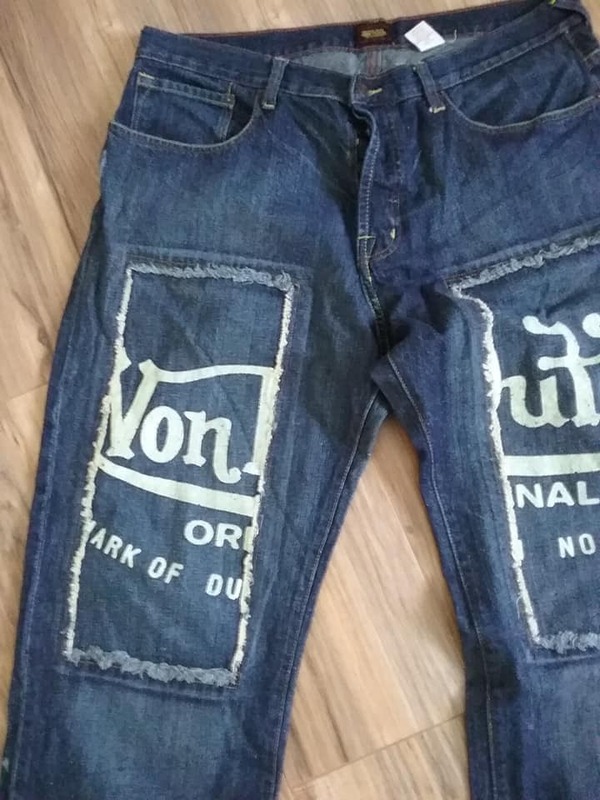 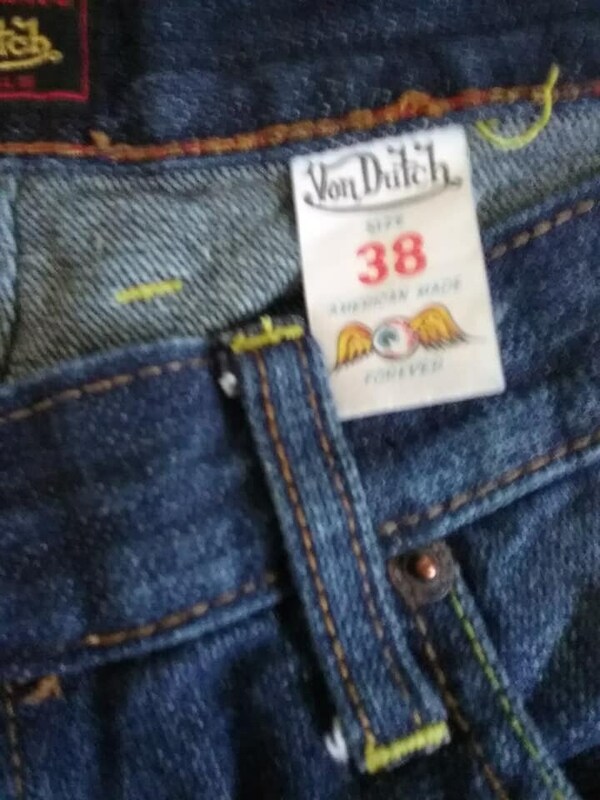 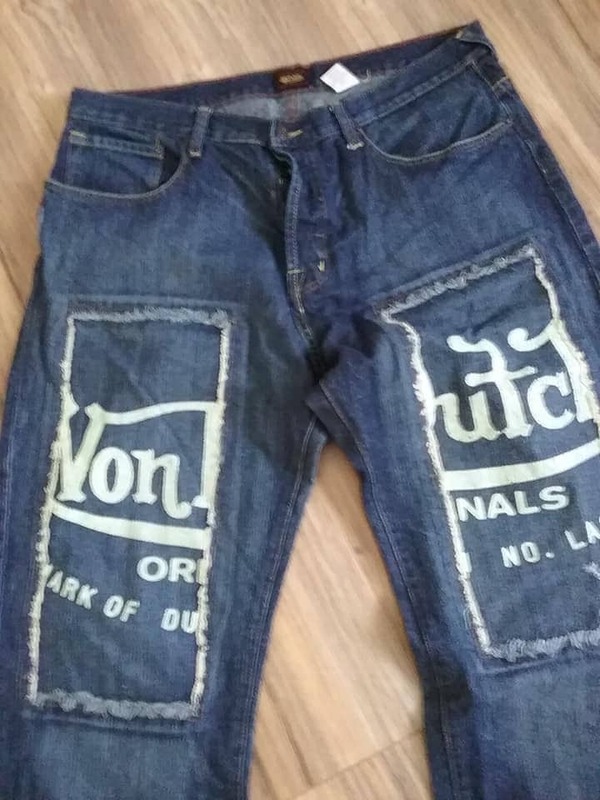 Vintage Von Dutch, men's relaxed fit jeans with button fly. 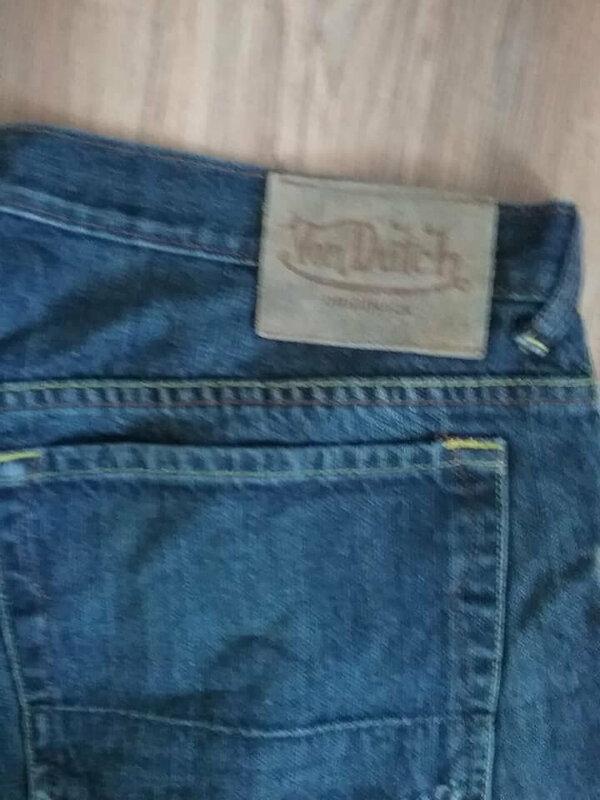 Size 36 x 30...tag has size 38, but fits like a 36. 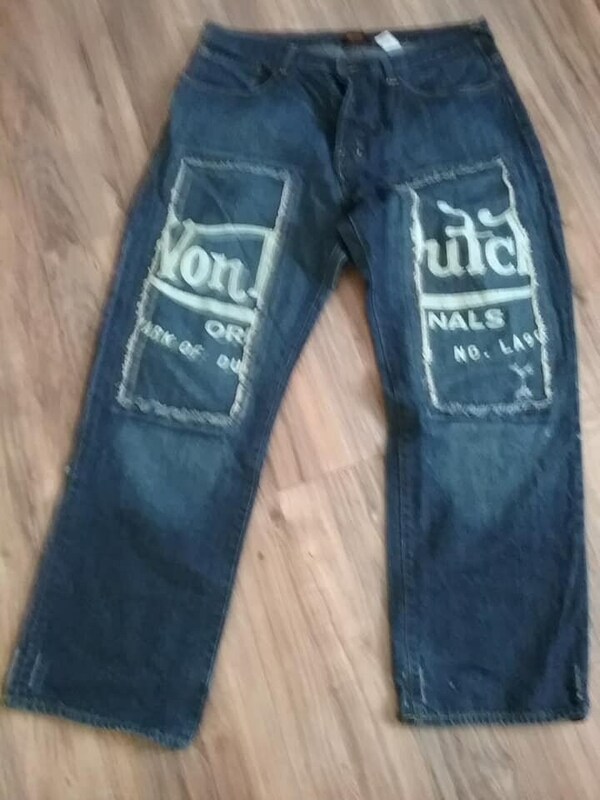 Made in USA, it is 100% cotton and in excellent condition. 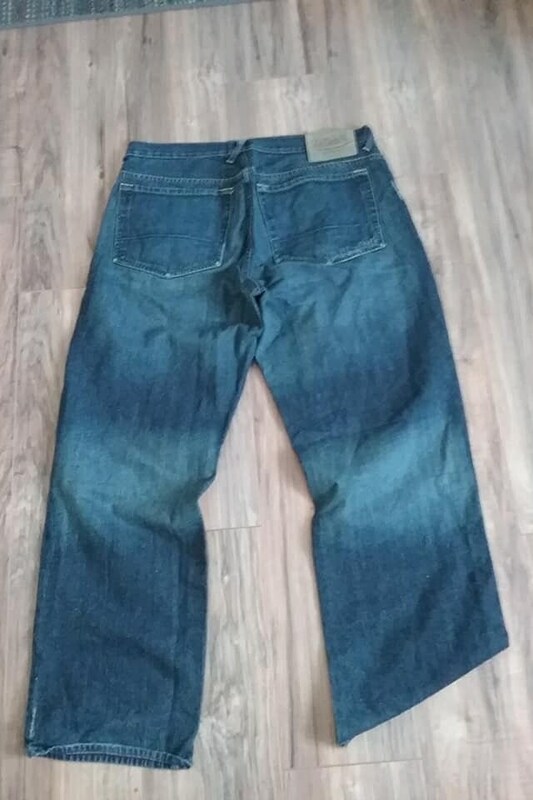 Approx measurements are: Waist - 36" (tag is 38), Inseam - 30", Rise - 11.5", Leg Opening - 9", and Out Seam - 41.5". 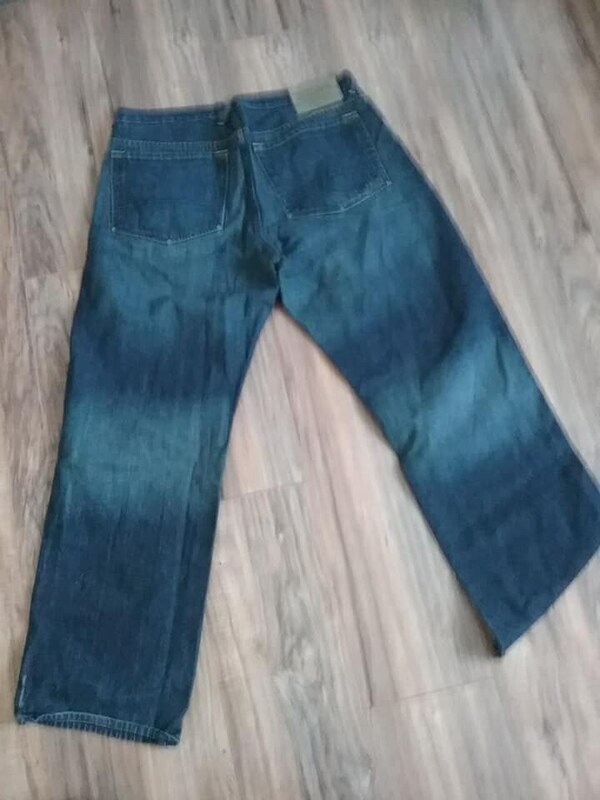 An outstanding jean, that will have you looking good, standing out!